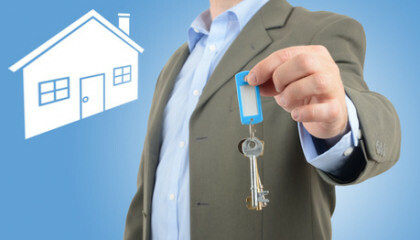 Plymouth Sales & Lettings (PSL) is a South West based online Estate agency and Letting Agency. We offer our services and products much like all Estate Agents you will find on the High Street but we do things a little different. When a potential buyer or tenant is found for your property you have a choice from when signing up to chose if you would like to show potential buyers around your home yourself so you are carrying out the viewings. We have a number of different packages tailor made round your needs and circumstances. By carrying out the viewing yourself you save money, as your commission charge is less. We can offer this tailor made package due to us being an Internet based Estate Agents so we have no office rates or charges to pay for. For more information and examples of our tailor made packages for Letting and selling which are available just click on them to take you the relevant page. Alternatively for a fixed monthly fee you can advertise your property yourself either to rent or buy on our website and receive all the benefits of advertising with us using our full Internet coverage. Here at Plymouth Sales & Lettings (PSL) we pride ourselves on having an honourable attitude towards the sale of properties. Our policy does not include hard selling harassment methods. All our staff are passionate about their work and enjoy doing what they do. They are experienced professional people who are always polite and courteous while giving you the straight facts. So call us and have a quick chat to one of our team, if you like what you hear we'll make an appointment to come out and see you at your home where and provide you with a no obligation valuation tailor made to fit your current circumstances. We are pride ourselves on the level of service we provide for our customers. This in turn will work for you in achieving the best price we can for your property to give you the maximum financial benefit possible in the current market. With our pay monthly do it yourself advertising package it doesn't have to cost much to rent or sell your property. Call us now to have an informal chat with one of our team. We can offer you our complete property service to include all aspects you may think of required for your property to assist in its sale. When you're ready to begin your search for a new home where do you go? ONLINE. It's a fact that 90% of searches for a new home begins online. When you advertise your property online with Plymouth Sales & Lettings you benefit from our full Internet coverage to promote our website which maximises exposure for your property as it generates hundreds of hits per day. If you wish we can also supply you with a sales board to place at the front of your home to show walk and drive by people your property is for sale. This can generate a lot more interest than people usually think. The idea is you are doing this yourself. You take all the pictures you think best shows off your home, you draw up a floor plan and write a description you think best describes your home. Once you have a valuation, of which we can help you with and give you an idea of what other properties go for in the area, you then either create an account or log onto to your account on our website with your user name and password, create a sales order and upload your pictures, description, floor plan, price and your contact details. You can pay using PayPal, Google wallet, and credit or debit cards online and once paid your advertisement will be live for 1 month. When you get a response from your advertisement you arrange your own viewings. You can renew your listing each month from your account details in your after sales section, just click on relist and pay again for another month. Your listing will then go live again. All your advertised listings will be stored in your account, in after sales. If they are left dormant for a period of 3 months they will be automatically deleted. 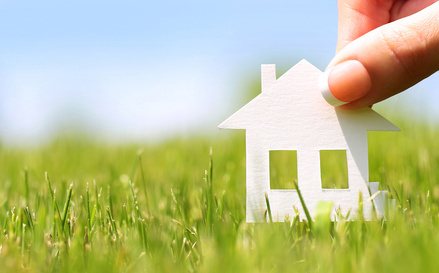 This means you can let your property quickly and securely online and without generating excessive commission charges. Am I really qualified to carry out the viewing myself? OF CORSE YOU ARE! On request we can run checks as necessary to any potential new buyer or tenant, then contact you with the results you need prior to arranging a viewing. When selling or renting your home you are the best person there is to promote your property, showing off every little detail in each room and any history related to that room as you have the extensive background knowledge from the number of years you have lived there. Can we give you any advice on how to conduct a viewing? We have researched people's body language and have put together a ten-stage plan to assist with reading the body language of potential buyers or tenants. The plan can recognise the different forms of body language there is that vendors or the sellers need to watch out for from the person viewing your home. It also offers advice on what you, as a seller, can also do with your body language to assist you with the successful sale of your home. It's an idea based on a silent selling techniques that look at different forms of non-speaking communication and their body language. This can be from the body posture, the body stance and angle, the greeting and even touch. It all can arm you with the necessary knowledge required to sell your property and get the best price possible even the asking price. You may find that more than one person may be interested so then you can moved to sealed bids which means you will get more than the asking price. It's very important for the vendors to understand the art of non-speaking communication in yourself and the other person being the buyer. People who are going to buy make buying choices using their senses. This plan shows the vender how to be likeable and charming in the eyes of the buyer so appeal to their solid wired instincts. The seller or vender can use this information very cleverly to assist them in the sale by charming the potential buyers senses to their advantage, as some buyers can be quite difficult. Every viewing will start with a greeting. This will set the stage from there on in. Ensure you are waiting and ready for your appointment and the arrival of the buyer at the same time do not show over eagerness by standing in your open doorway waiting for them to turn up. It looks a bit desperate really so you must hang on until they knock the door or ring the bell. People are all different; some really don't like to shake hands while others really don't mind, as it's a way of life. Whatever the case go for a handshake, you will find that people won't be rude in turning away an offered out hand. By doing this and depending on the quality of their handshake you can get a better idea on how keen they are regarding your home as they see it as a first impression. You are carrying out a VIEWING. The eyes will be used as a sense more than any of the other senses to decide if they like your home or not. You need to ensure you give them all the information you can relating to each room detailing the little things and history behind each room only you would know. Prepare a list of the little detailed things that have transformed the house into a loving home. Ensure you only highlight the details relevant to each individual viewing. As you are talking to them keep notice of their eyes and see if they are taking notice of you and looking at what you are talking about. Smiling is always healthy and a nice thing to do and feel. It reflects you and your feelings showing you are relaxed, content and happy. As you pass into each room notice, as you talk about the little things on your detailed list, if a little smile begins to develop and maybe turns into a big smile. If so keep a reminder in your head of what triggered the smile and look to point out other similar things relevant around the house as you proceed to maintain their happy positive feel. Keep an eye out for delicate nods or shakes of the head. This is a good pointer to show you how positive or negative they feel regarding the item you are describing. You know how a yawn is considered boring but contagious as once you start a yawn others will join in unknowingly, well the same theory applies when you nod and shake your head. You can inspire other people also to do this as you are talking about the things in your home that you think are good or bad. This could be from the local facilities to certain neighbours. How you carry yourself and stand is important as it does have an effect on how other people feel and think about you. After a survey was carried out it was found that approximately sixty per cent of people do belief that a good posture will promote quality confidence. So ensure your stance is telling them that you are a confident truthful person and what you say is honest so your house is definitely worth the asking price. The way you carry yourself, sit or stand can have an effect on how relaxed you're prospective buyers will be in your house. When you welcome them it's usually face-to-face but once the initial greeting has been done you want avoid a face-to-face straight on angle approach. The rule is to be on the left hand side of the person or persons you are guiding round your home because you will find that most people are right handed and by doing so you will give them more liberty of movement to touch items or make notes. Touch is important, let and even encourage people to touch and feel things. If your leaving the carpets then get them to feel the quality, have a seat in the sitting room, see if the room fits them. Do things to make them feel at ease like lying on the bed to see if the bedroom also fits them. Touch is one of the five basic senses that has a great impact on how one feels about an area, room or space they are in or want to be in. The more you can get them to touch, feel, try things out, the better for you as the more at ease and comfortable they will feel which can and will make their decision to buy much easier. From birth smell is the most rudimentary of all the six senses that make people act on immediately in a positive or negative way. Stay away with smells like fresh fish, fresh coffee or bread baking and all the old formulas. Ensure it smells clean and neutral or has a gentle fragrance around in the air. Every home is different regarding noise and sound. Whether it's the neighbours, boiler, water pipes, floorboards, washing machine, toilet cistern and so on. If you have issues with noise you need to take some time in rectifying them and fix as much as possible. If you have a problem with a noisy road or street then book your viewings in for a time when you know is much quieter. People buy new homes using their senses so its good practise to utilise them all to benefit your advantage by tempting and charming the solid wired basic instincts. Each person will look at your house in a different manner according to his or her personality, requirements, circumstances and needs. Your task will be in selling your homes most attractive features that will be noticed by the senses. Take note on how your prospective possible buyers respond and what their body language is saying to you. Focus on the positive and move quickly on from the negatives. If you follow this step-by-step plan and advice there is no reason you will not succeed in achieving the asking price you want. The property market is building and growing, as this happens there is opportunity for estate agents to make a pile of cash. People are slowly getting wise to this and going it alone by advertising there home online themselves, therefore saving thousands in fees. Estate Agents can charge from 1.5% to 2% of the sale price, which can work out to be £6000 from a property that sold for £300,000. Online agents offer a fee from £250 to £1000. The Royal Institute of Chartered Surveyors reports that this new way of selling only really accounts for 5% of final sales. The largest sites have all confirmed a growing number of homes being listed and sales being confirmed which is saving selling a huge wedge of funds as these sites don't run a large number of offices or have a number of company vehicles. For Example, an online agent can list 500 new properties in one-quarter period of the year, which is up from 300 from the same period last year. Fees are 85% cheaper than the typical main street estate agent which is saving the customer nearly £4000. There are a number of payment methods, for example you could have a contract to state an initial payment of £250 then a final payment on completion of £250 so you sell your home for £500. Because you do all the work we can offer a similar system but for a further cheaper rate. You take the pictures, you draft up your floor plan, you write the description and upload all this information yourself on our website. You then carry out the viewings showing potential buyers around your home. This can work out for the better, as there is no one more qualified who knows your property more than you do. Is ironic really as some expensive estate agents usually get you to show people around your house and your paying them silly fees for the privilege. Ensure you chose a website which knows the market. So many sites come and go after a few months because of spending a pile of cash on Google search and such. So be aware of inexperienced sites. Check the quality of the site, its layout and how it's built. Try to find customer testimonials in online forums. Check to see if they possess membership with the Property Ombudsman. This will protect you and can give you help if it all goes bad. A high street estate agent will claim to give you the best service as they use local marketing knowledge to value your home precisely, baloney! There are lots of online tools to help you achieve this yourself. They also state that they already have a large list of waiting buyers on their portfolio, double baloney! They just want you to sign on the dotted line. These days no one registers their details when they are searching for a property, it all done online. When you're ready to begin your search for a place to live and rent where do you go? ONLINE. It’s a fact that 90% of searches for a new home begins online. When you advertise your property online with Plymouth Sales & Lettings you benefit from our full Internet coverage to promote our website which maximises exposure for your property as it generates hundreds of hits per day. If you wish we could also supply you with a To Let board to place at the front of your home to show walk and drive by people your property is up for rent. This can generate a lot more interest than people usually think. The idea is you are doing this yourself. You take all the pictures you think best shows off your property, you draw up a floor plan and write a description you think best describes your property. Once you have a valuation figure for rent per calendar month, of which we can help you with and give you an idea of what other properties go for in the area, you then either create an account or log onto to your account on our website with your user name and password, create a sales order and upload your pictures, description, floor plan and rent agreement terms and conditions. You can pay using PayPal, Google wallet, credit or debit card online and once paid your advertisement will be live for 1 month. When you get a response from your advertisement you arrange your own viewings. You can renew your listing each month from your account details in your after sales section. Just click on relist and pay again for another month. Your listing will then go live again. All your advertised listings will be stored in your account, in after sales. If they are left dormant for a period of 3 months they will be automatically deleted. 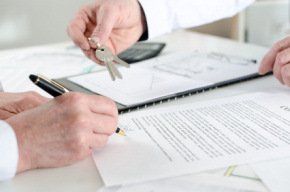 Once you have found a tenant you will need to interview them and run all necessary checks. If you need assistance with this we can help you as the fee will be charged and paid for in advance by your potential new tenant. We will then provide you with all the background checks information about your candidate tenant so you finally decide whether you want them or not. We can even supply you with a rental contract for a small fee. Plymouth Sales & Lettings agrees to defend, indemnify, and hold harmless the Indemnities, from any and all damages, liability, and claims, arising from the covered claim(s). These regulations provide protection to consumers by requiring those marketing properties not to make false or misleading statements or to omit important information that consumers need to make decisions about the properties on offer. We believe an agent can only fulfill their obligations under the regulations by personally visiting each property they market. We believe this policy is important in protecting and promoting the quality of the service we offer to home buyers.